There was some good progress made during this week. 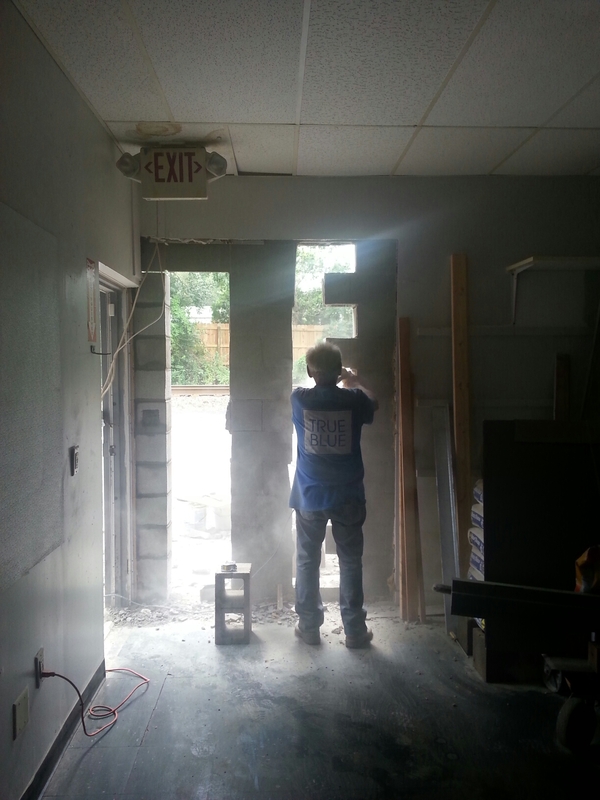 I got handed the keys to the place and to my delight, the 40″ door was being installed. 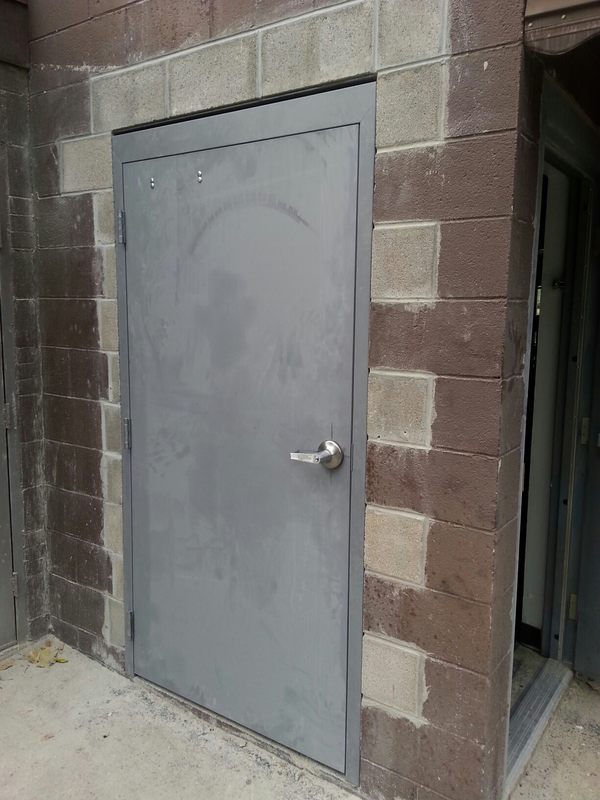 Standard doors are 36″ wide. My equipment is a little smaller than this but not by much so it leaves no room for error when getting it into the place. The fermentors that need ordered are a little shy of 36″ so I definitely needed a bigger door so that I don’t bang any shiny stainless. 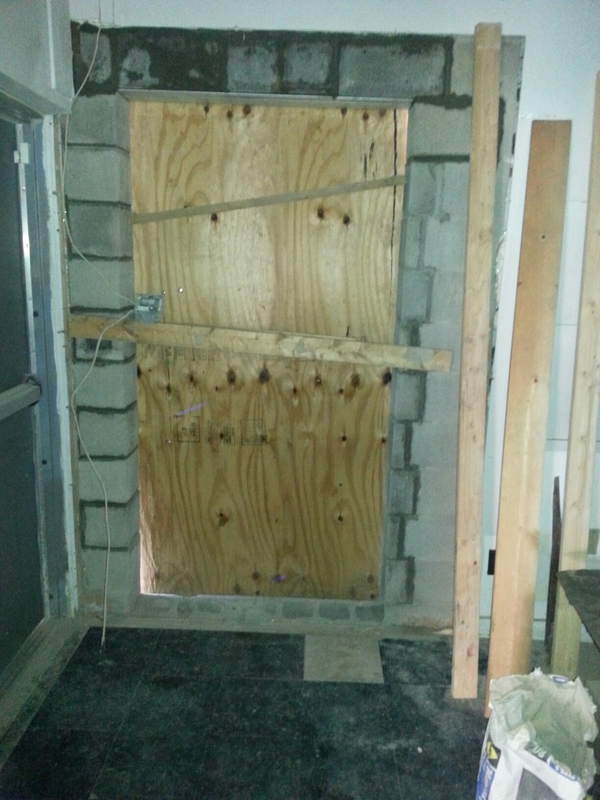 Workers working on a wider door for some equipment. I spent a good hour on hold with various companies getting the utilities transferred (water, gas, electricity). It was easy enough though. In week two I mentioned the brewers bond that I was working on – this is to essentially ensure the feds that taxes will be paid. I finally got that information and it ended up being more paperwork than I could immediately turn back around as I had to prepare some items (sigh, another week…). I was able finally get that information back to my insurer end of last week. Supposedly it has a quick turnaround and then I can complete and submit the entire application along with the state license. After drinking an extensive array of Shandys this summer, I know what I want to brew. So last weekend my wife and I extensively trial-and-errored several formulations and came up with a few that I love. Not as sweet as most Shandys, a fruit that is used less, and still having a nice balance of tartness and hop bitterness so that you know it’s a beer and not a malt beverage. They are good! 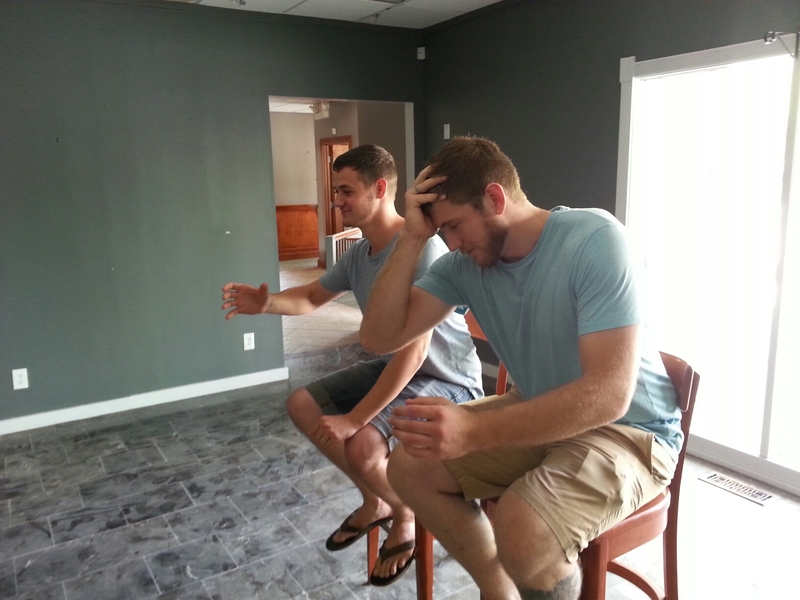 We fine-tuned the formulations on assistant brewer Jesse and Daniel. 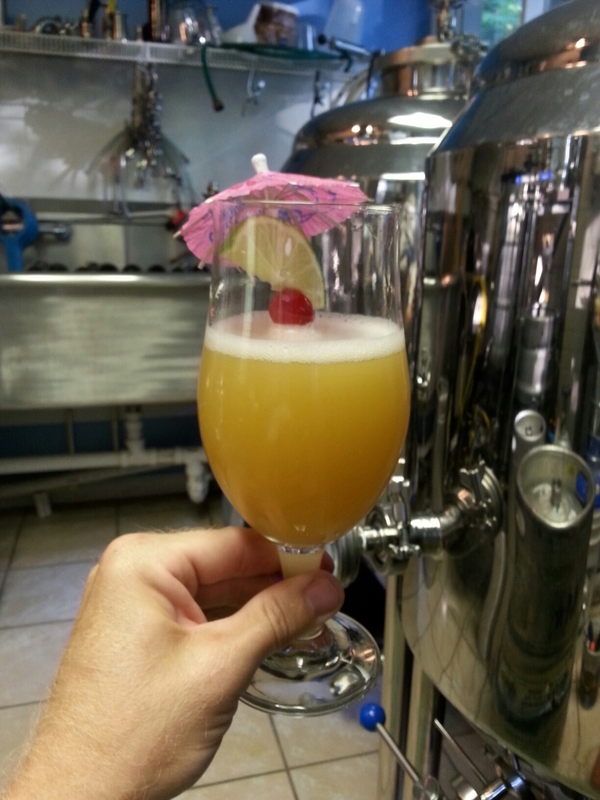 R.Shea Brewing’s newest Summer Shandy – we have about three different styles. I love barbeque and love to grill it and have been doing so for years. 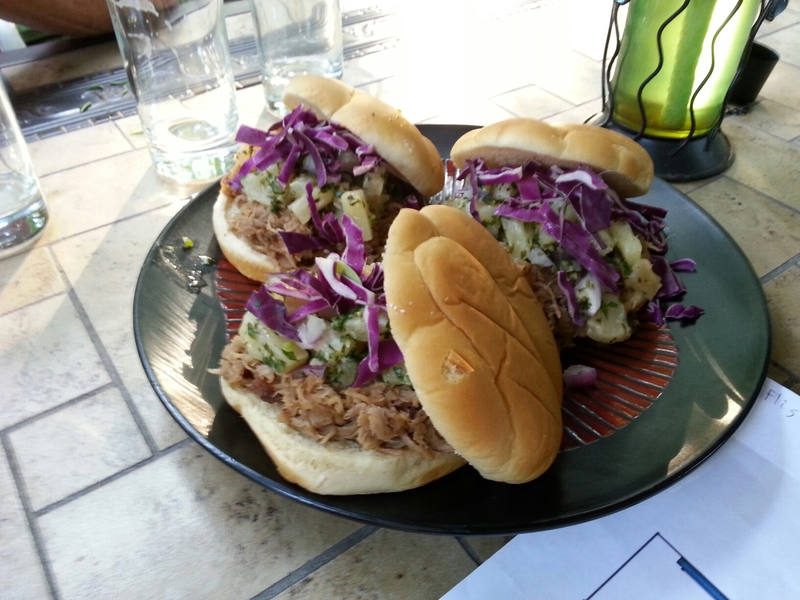 My wife started development of our pork BBQ sliders and have narrowed it down to three recipes. A sweeter recipe, a spicy tangy recipe and a delicious Hawaiian recipe which has a home-made sauce. 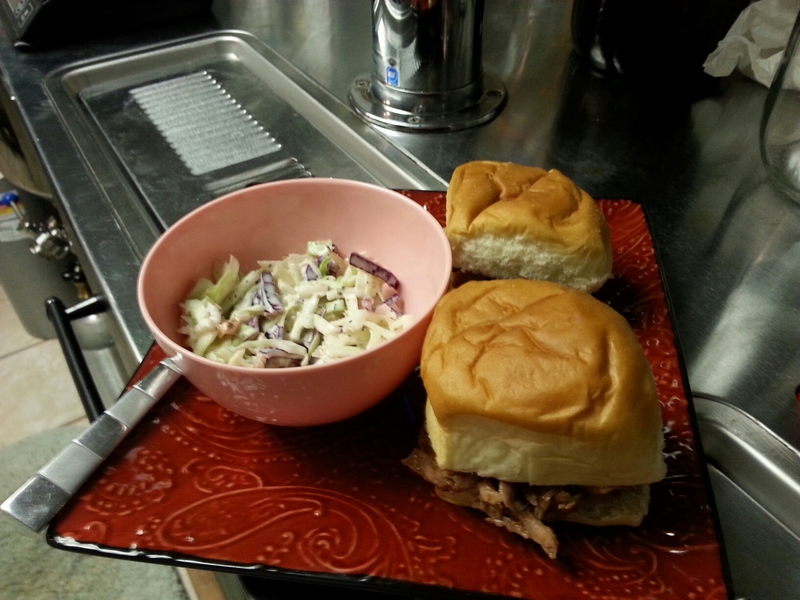 My wife also worked on home-made coleslaw to eat on it’s own and also put on the sliders. It’s very good. I love a good slaw. We chose pork sliders as they are easy to prep, only requires a crockpot and can can have it ready-to-serve in the evening. Any bartender can easily assemble one. The next step is to actually make our own sauce for the first two recipes. 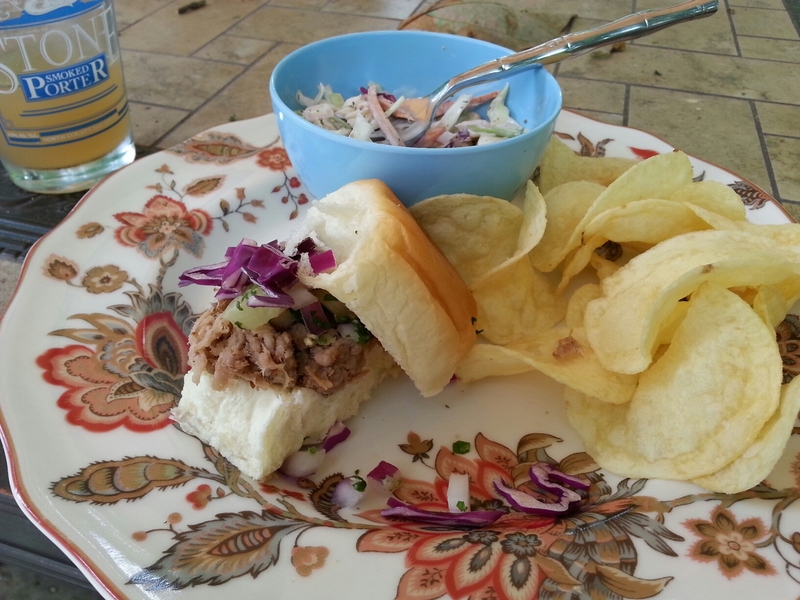 Pulled pork sliders and home-made coleslaw in 1st day of development. They even taste better with the ‘slaw on them! 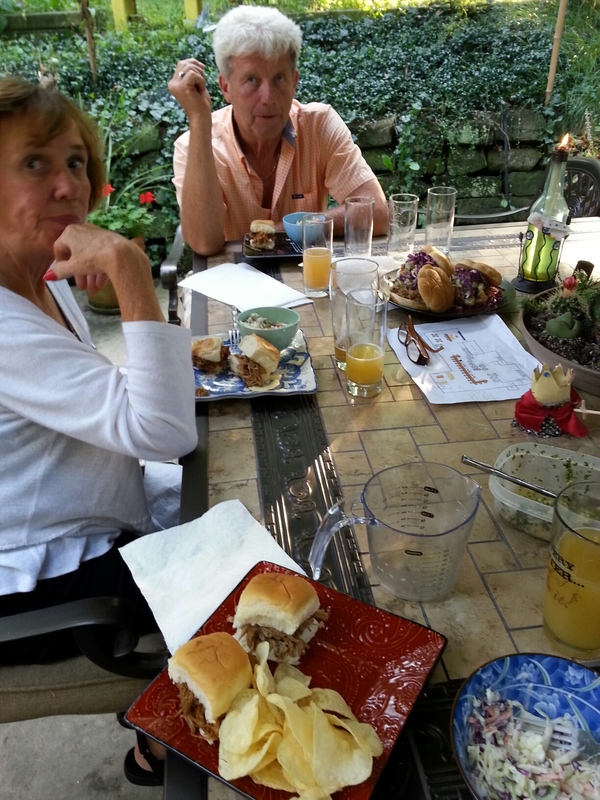 My mom, a BBQ person, loved the non-traditional Hawaiian pulled pork burger. The following week I will be hanging dropcloths on the windows with some logo’s and ‘coming soon’ text – maybe even a tap list. I hope to have a bond by then and finishing up the federal paperwork. Hope. I am finding every ‘next step’, adds another delay. I plan to start taking out some of the current furnishings (tabletops, counters, etc) and clearing the space for the floorplan I need. Some tile has to come out too for the brew area. I also plan to finalize the fermentors I need and place an order very soon!